Utilizing files between operating systems is a pain in the neck, especially when these files are not compatible with your native player. Among movie files, Apple’s Mac computers is the trickiest, it utilizes its Quicktime format for compressing the right amount of data for a movie file in MOV format. However, if you’re running on Windows platform and wish to play that same MOV file on your Windows player, then you’ll definitely need a good converter. One of the best I’ve used so far is the one from Aimersoft. 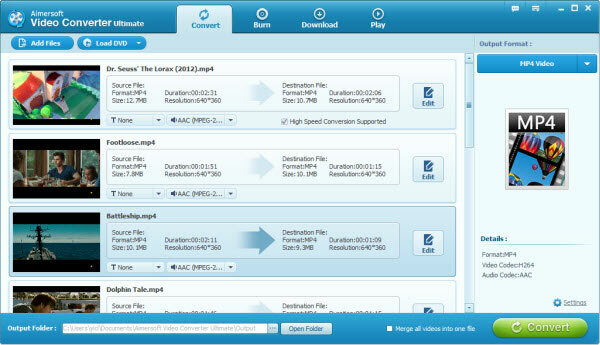 Its product called the Video Convert Ultimate (Video Convert for Mac) converts MOV to AVI in a breeze. You don’t even have to have technical skills to do the job. The software has a very friendly user interface. Being a first time user, I haven’t had difficulty in going through several buttons because they have been designed thoroughly in their respective tabs. The converter also provides you with variety of editing functions. These include movie trimming, video cropping, effects adjustment, etc. That’s having the luxury of pre-editing your movie file, before throwing it in your Movie Maker. Aside from it being easy to use, it has great stabilization and intuitive controls. The software itself is also equipped with fine toggles like resolution settings, bit rate, frame rate and other controls that allow you to have more customization to your videos and audios. The conversion process is just a walk in the park. All you have to do is drag and drop the MOV files into the software interface. Furthermore, batch conversion which supports multiple file management is also possible. You can even merge many MOV videos into one AVI file. Along the process you can edit the video with the built in settings and finally, you may opt to choose the format and directory of the file. Features like capturing still shots in your videos and automated shut-down after conversion are quite impressive. Plus, the support to wide-range aspect ratios like 16:9 and 4:3 is quite a steal. Aimersoft Convert Utimate (Video Convert for Mac) is one of the most intuitive converters that I have tried to date. It preserves the quality of every file that it’s handling. Aside from the legit interface, it also offers a fast and flaw-free way to convert your MOV file to AVI format. I recommend this product for non-technical users and geeks alike.